This pathway provides guidance on the staging of adult patients with laryngeal cancer, prior to definitive treatment. 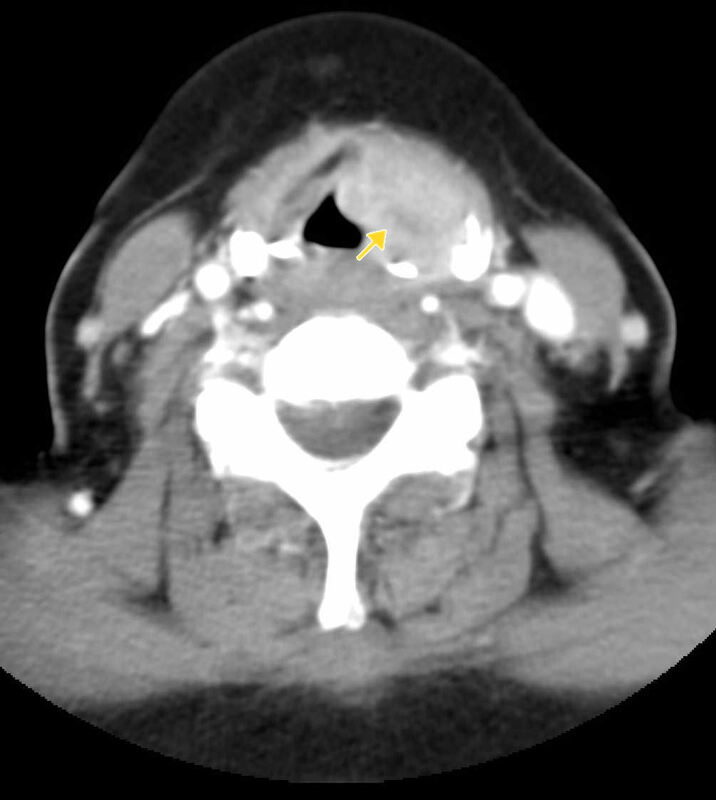 Image 1a, b and c (Computed Tomography): There is a 27mm contrast-enhancing mass lesion seen arising from the left piriform fossa showing bony erosion and infiltration of the left thyroid cartilage into the surrounding fat (arrows). 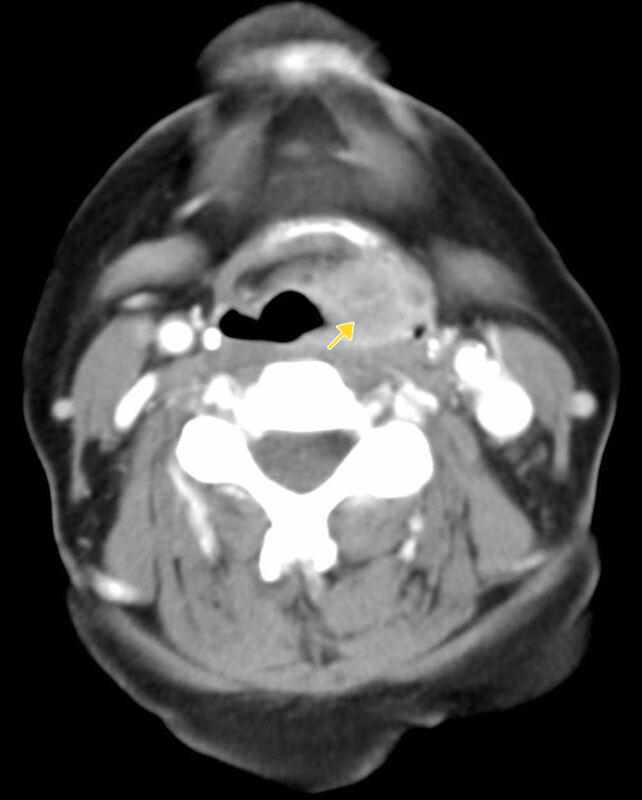 The mass lesion shows compression and displacement of the trachea to the right. 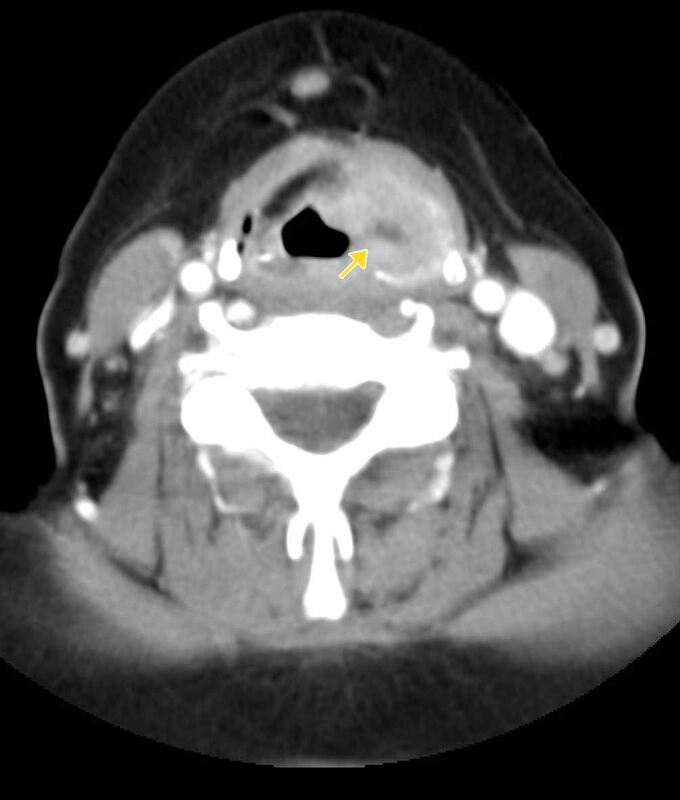 There is significant lymphadenopathy along the left jugular chain. The largest lymph node measures 12mm in long axis. 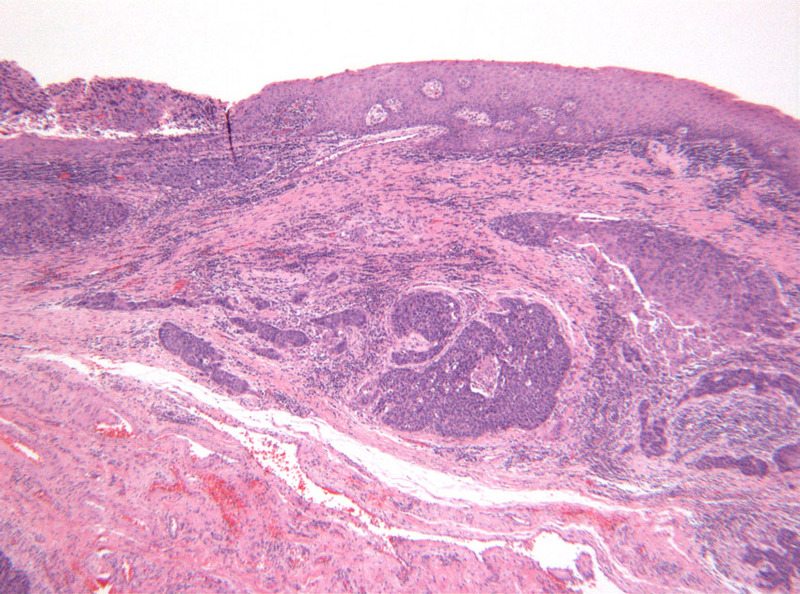 Image 2a (H&E, x2.5) and 2b (H&E, x10): Histological sections of a moderately differentiated squamous cell carcinoma of the larynx. There is ulceration of the mucosa with nests of malignant squamous cells invading into the deep stroma. 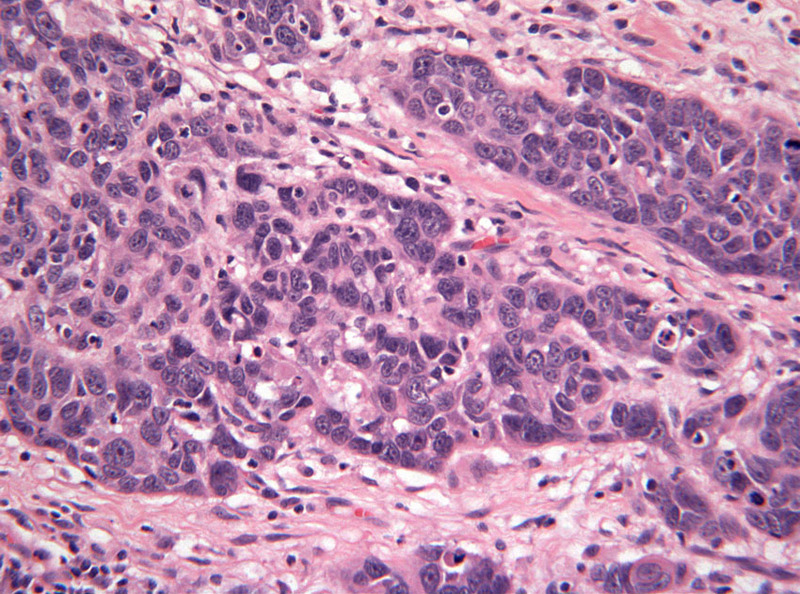 The malignant cells demonstrate marked nuclear atypia at high power. Green FL, Page DL, Fleming ID, et al. (eds). AJCC cancer staging manual: sixth edition. Springer-Verlag: New York 2002.